According to the US News’ ranking, Austin is a number one place to live in the USA. That and the fact that the capital of Texas was earlier proclaimed as a mecca for startups explain why people are flocking into the city. The Live Music Capital greets its new residents with numerous job opportunities including those in the tech sector, and salaries above the country’s average. Vessel Coworking serves as an excellent spot for individual work and collaboration. It is serious but not sterile, friendly yet not slackening. Its members have access to a meeting room and phone booths, kitchen with snacks, coffee and sometimes beer. Social opportunities and special events make this workplace priceless. Prices from $275/month. 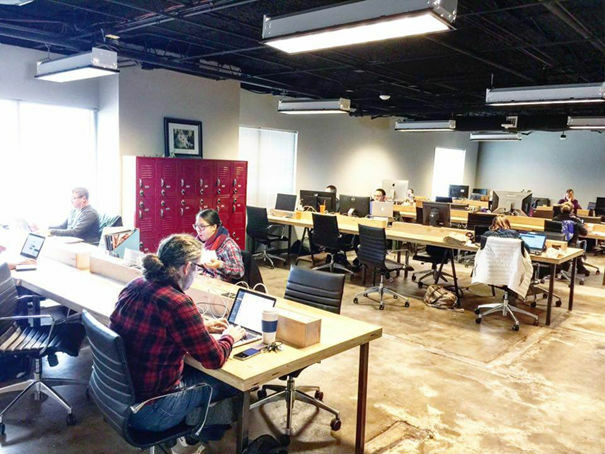 This space calls itself the Center of Gravity for Entrepreneurs in Texas. It offers more than just a shared workspace. The place was created with entrepreneurs in mind.Startups get access to lots of useful events. Here one can meet mentors, investors and potential clients or mingle with the like-minded community members and gain valuable experiences that help get any business off the ground. Such amenities as a gym, kitchen, beer on tap make the place even more exciting. Prices from $375/month. Orange Coworking offers an innovative networking environment in the south of Austin. Comfortable working setting, complimentary coffee, and tea, various seating and office options as well as meeting rooms are only some of the benefits the community members can enjoy. 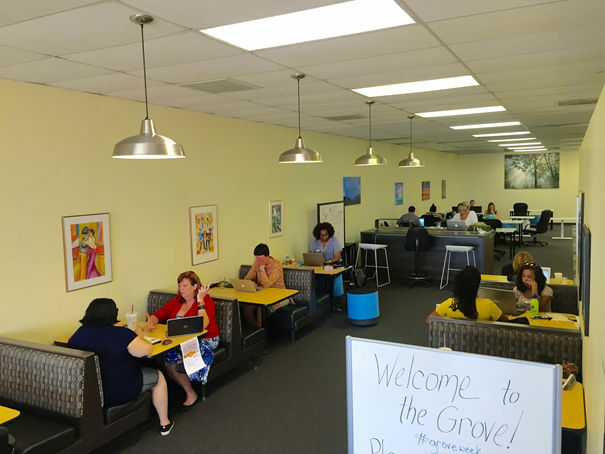 Orange Coworking crowd can participate in special events, birthday parties, breakfasts and yoga classes that are regularly held here. A huge parking lot and the fact that the place is easy to find, add value to it. Prices from $347/month. This is is an upscale coworking space located at the heart of the city. Glass walls, leather seats, and spacious lobby make this friendly place even more inviting. You get daily breakfasts, happy hours, snacks, coffee and cold brew which add to the five-star service. 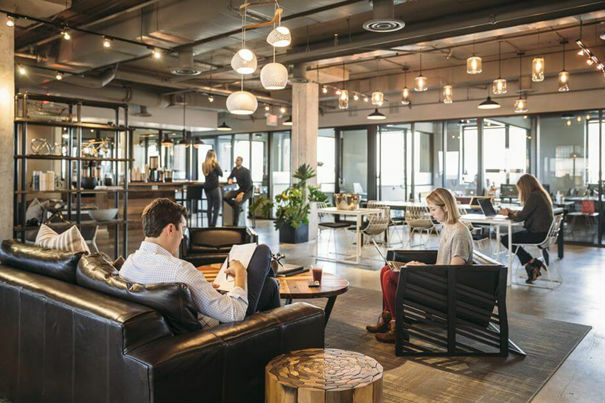 You can go for a seat in the shared space or book a private office at a price higher than average compared to other coworking spaces, but you definitely get what you’re paying for! Prices from $495/month.